New Delhi: Voltas, India’s leading name in the air-conditioning segment, launched a new brand of home appliances called Voltbek. The new brand is a joint collaboration between Voltas and Arcelik, and will offer refrigerators, washing machines, and kitchen appliances among others. 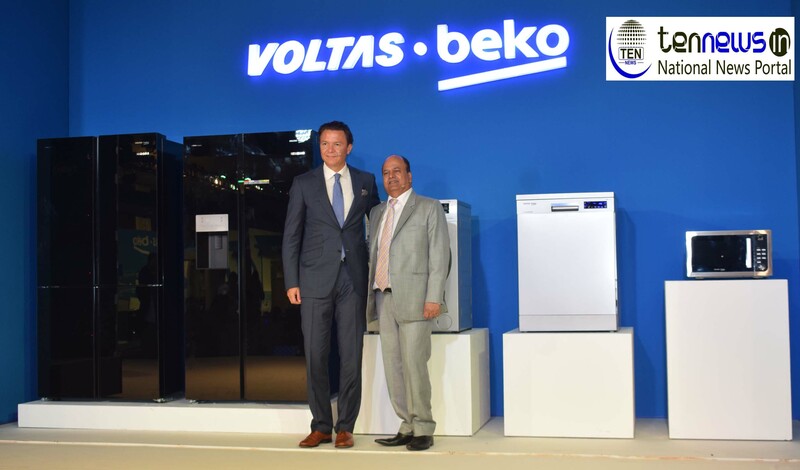 Voltbek plans to launch over 100 SKUs over the next 3 months including 44 SKUs of Refrigerators, 40 SKUs of Washing Machines, 12 SKUs of Microwaves/Ovens and 7 SKUs of Dishwashers. The brand also aims to provide its consumers with state of the art innovative products and new technology. Speaking on the occasion, Pradeep Bakshi, Managing Director & CEO, Voltas Limited, said, “We are delighted to announce the launch of the Voltas Beko Home Appliances range for all our valued customers. As a market leader in the AC category, Voltas has always placed customer centricity at the core of all its offerings. Voltas Beko has been built on the same principle aiming to provide best in class products as ‘Partners of Everyday Happiness’.